Updated Apartment in Historic Building. Quiet, yet Walk-able to Nightlife! The Updated Apartment is an ideal getaway for travelers wishing to be near the urban nightlife but also looking for affordability and convenience by the city. 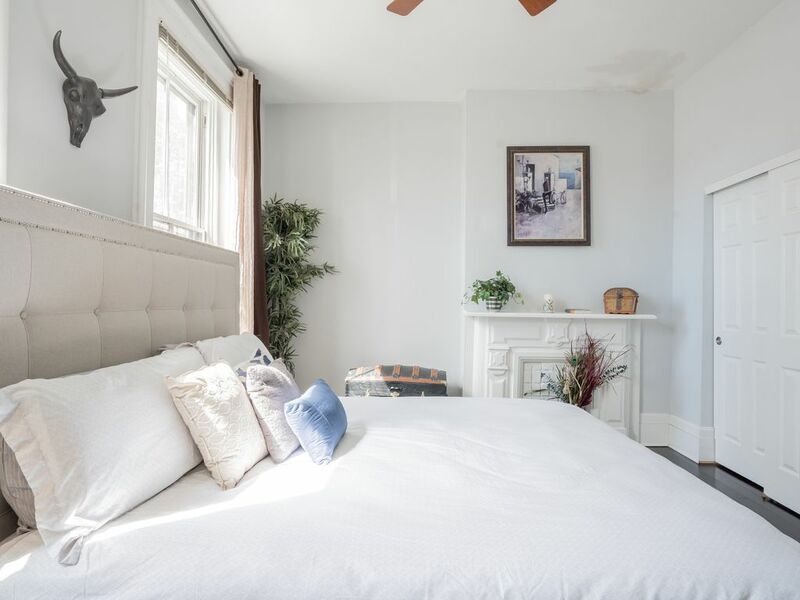 Located in the Licking River District of Covington KY, this flat will cater to those whom wish to visit Cincinnati, Mainstrause Village, and everything it has to offer, such as festivals, Red's Games, St. Patty's Day Parade, breweries, or just a simple visit to the city with friends! It was nice, convenient and quite. I only slept there as i was out all day but it was a good place to come back to. Had everything i needed. It was a nice and quiet location, park across the street. Street parking available for rental if needed (but I honestly didn’t even use mine). Close to city for both business, and site seeing. Uber is everywhere. Food delivers. Clean and comfortable bed. Thanks! Wonderful home and walkable neighborhood! Ease walk across the river to downtown. We so enjoyed our stay at this lovely property! Great place - good price - handy location. We thoroughly enjoyed our stay in this small apartment. Good bed, well equipped bathroom and kitchen. We particularly appreciated the unexpected amenities like the dishwasher and water filter. Just a few minutes drive from Cincinnati, the place is attractive and clean with nice restaurants nearby. Owner is easy to reach, friendly and helpful.